Customer Survey 2016 – Results are in! 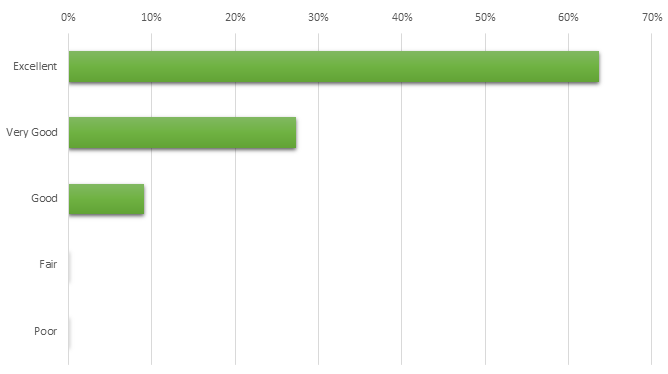 Home » Customer Survey 2016 – Results are in! Thank you so much to all those who participated! How would you rate your satisfaction in each category? For the first portion of our survey we took eight major categories and asked participants to rate our service on a scale from 1 (Extremely Satisfied) to 5 (Extremely Dissatisfied). Overall, we were very happy to find that all categories scored a 1.9 or better. 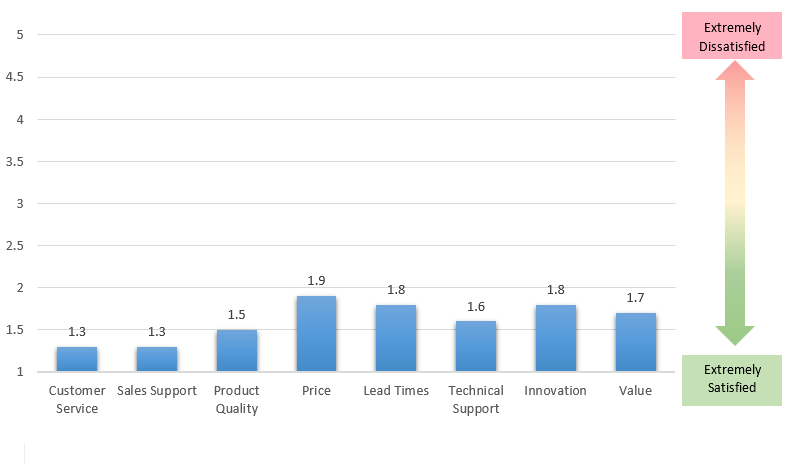 We were proud to find that Customer Service and Sales Support lead the way with an average score of 1.3 and excited to challenge our Production Team to bring lower scoring categories like Price and Lead Time more in line with the rest of our high marks. How would you rate your overall relationship with Catty? A second portion of our review involved asking how participants would rate their overall relationship with Catty as a whole. We considered ‘Very Good’ the baseline for an acceptable results in this poll and were please to find over 90% of participants ranking us at that mark or better (64% Excellent, 27% Very Good). We have however challenged our staff to increase that mark for our next survey in hopes of getting 100% of participants to fall in those top two categories. We capped off our survey with an open ended forum to add any additional comments or suggestions for us. This area we were particularly excited to read results as it allows participants to specifically call out areas of excellence in our process but more importantly it also generates great suggestions for improving our process. There were two key areas of improvement that arose from this survey. The first of the suggestions brought to our team was an improvement to our slitting registration. Slitting quality is something that we are always looking to improve here at Catty but getting the extra encouragement from a partner has reinvigorated our search for improved equipment and improved processes. The second area of improvement brought up in the survey involved our artwork Pre-press charges. The note mentioned specifically our Flexographic flat plate charges being a barrier to some work for them. We took this statement immediately to our Pre-Press team to challenge them to find a solution but also have started discussions in our Customer Service department to develop programs to better account for the burden of artwork charges. Thank you again to all those who participated! « In Memory: Pam Lawther	» Happy Retirement Basilio Castellanos!